The U.S. Securities and Exchange Commission voted (3-2) on the final reporting requirements for U.S. companies potentially dealing in conflict minerals from the Democratic Republic of Congo. This vote comes after nearly three years of energized attention from activists across the United States calling for conflict-free products from Congo. The U.S. Congress took on the issue in 2010 by calling for the SEC regulations as part of the Dodd-Frank Financial Reform Act, which was signed by President Obama on July 21, 2010. Now 18 months later, and in the face of intense pressure from industry actors opposed to cleaning up supply chains, the regulations will be released. The Enough Project’s Raise Hope for Congo Campaign Organizer Jayme Cloninger was live-tweeting from the SEC this morning with the latest on the vote. Follow her @RaiseHope4Congo or right here on Enough Said. @EnoughProject: SEC voted 3-2 to adopt #conflictminerals regs. Sadly the regs have a 2yr phase-in catering to corporate interests over the people of#Congo. @RaiseHope4Congo: Commissioner Gallagher says #SEC is not the "tool for the job" in addressing#conflictminerals. 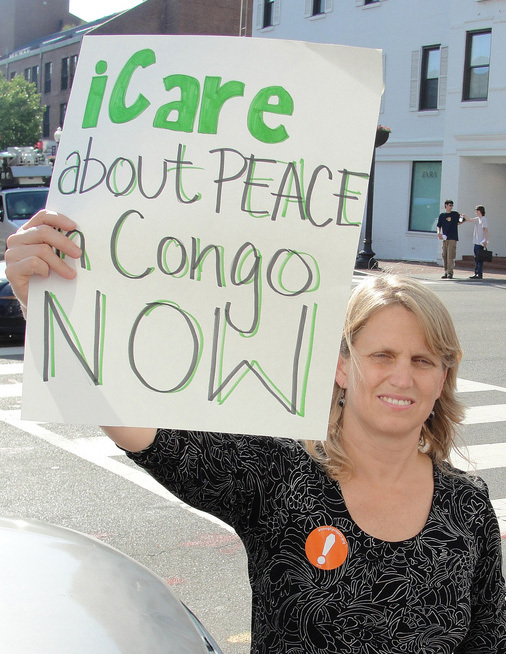 @RaiseHope4Congo: Commissioner Gallagher hands off responsibility of helping end the conflict in eastern #Congo to someone else besides #SEC. @RaiseHope4Congo: The #SEC Overestimated the cost for #1502. @RaiseHope4Congo: If you don't know, you don't have to do an audit. #SEC guts rule. #ConflictMinerals. #Congo. @RaiseHope4Congo: The commissioners are beginning to make their initial statements. #1502 is up first for release, then 1504! RT @_stefanijones: The SEC is holding a historic hearing today to vote on rules for #DoddFrank and #conflictminerals. Anxious to know the outcome.